Welcome back to the third instalment of our Q&A with BidRecruit, the A.I. and automation driven recruitment software. In our earlier conversations we covered the latest recruitment trends, and the importance of candidate experience. In this week’s chat with Susan Comyn, Marketing Manager of BidRecruit, we discuss the growing trend of companies using social media to recruit, its advantages and the importance of it for employer branding. Q1. Why has social media recruitment become so popular? Well, while 98% of recruiters are on LinkedIn, according to a Global Report by social talent, that doesn’t necessarily mean that all job seekers are on LinkedIn. In fact, as companies move toward hiring a younger generation into their workforce, they need to be present and active where that workforce is, social media. This is not to take away from the importance of LinkedIn for employers, as according to the same Social Talent report it is still the top resource to source candidates. However, when creating a recruitment strategy other social media platforms should not be overlooked, particularly when considering the recruitment of passive candidates. Q2. What are some of the benefits of social media recruitment? Social media recruitment is an incredibly cost-effective way to get in front of the right audience: passive and active, in fact, a 2015 SHRM study found social recruiting to be 55% less expensive than other recruiting methods. 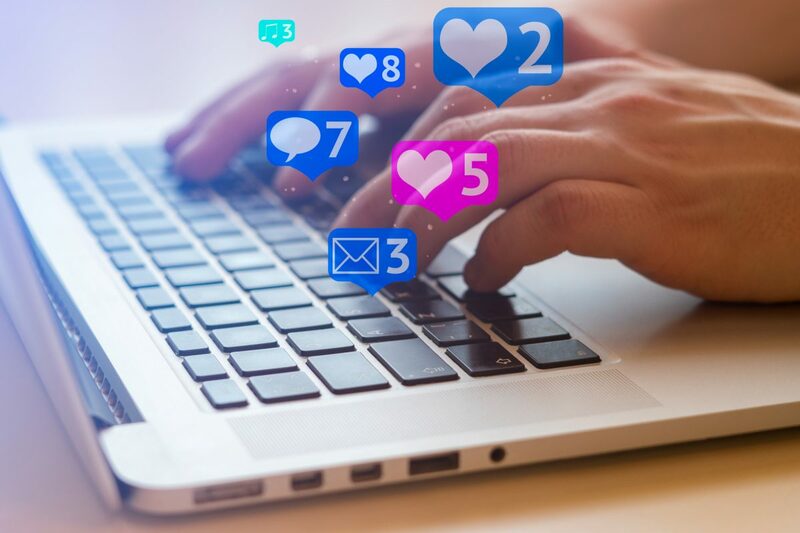 By building up a positive employer brand on social media (more on that later), companies can leverage social channels for free, and with the addition of low cost, highly-targeted ads, there is a great opportunity to reach a large and relevant audience. Additionally, some other benefits include; candidate screening and reduced time-to-hire. Social networks can be used to screen a candidate depending on the channel you are using i.e. LinkedIn for experience & skillset, along with Instagram, Facebook and Twitter for culture fit. HR teams can also communicate with candidates instantaneously, quickly establishing a candidate’s interest and availability, therefore potentially reducing time-to-hire significantly. Q3. Ok, we’re sold on using social media to recruit, where do we start? There are actually a few steps before you can utilise social media to recruit, and it doesn’t take place on social media! The first step is to create a company culture that not only your employees will love, but one that can be promoted on social media. We have lots of advice in our recent blog on ‘how to create a great company culture’. As we mention in the blog, 85% of employees say they are more likely to take initiative when they are happy at work, so outside of using company culture to attract candidates through social media, culture is a critical business investment. Once you have established a great culture, a careers page should follow to positively demonstrate life within your organisation. According to LinkedIn’s 2016 Global Talent Trends report, 59% of job seekers go to a company’s website before applying for an open position (irrespective of where the position is posted), so be sure that the cultural message is accurately reflected on your website . The best way to achieve this is utilising your current employees. As Glassdoor reports, 90% of job seekers rely on the perspective of current employees when learning about an employer, so they are your best promotional asset. Ask employees to submit testimonials on their positive experiences working with your company, or go one better and film them speaking about the company and the culture, along with footage of a ‘day in the life’. All of this can then be directly promoted your careers page as well as social media. Q4. Are there any other areas that you would recommend a company to focus on when promoting themselves on social media? Focus on company values and aligning them to what your ideal candidates want from the company they are working for. Take wellness as an example, research by the Irish Business and Employers Confederation found that 60% of employees were more likely to stay at their job long-term if their employer showed concern for their wellness, while almost 50% said that they would leave a job if their employer did not. In a changing workforce pay packages aren’t enough, candidates want to know the company they will be working for has a genuine interest in them, both in and outside of working hours. Promote specific wellness benefits and post pictures of company wellness events on social media to demonstrate the organisations commitment to employee wellbeing. This will appeal to prospective candidates and give you the competitive edge over other companies. The final piece of advice on the use of social media is that it is an ongoing commitment. Though it’s not a full time job, posting up a few pictures and leaving it idle or just posting up new positions can do more harm than good. There is a need to constantly engage with prospective candidates through content they will want to engage with. It pays to invest in social media to attract top talent. BidRecruit offer lots of advice on smart recruiting, including more tips on utilising social media. Find out more on their blog or sign up for their monthly HR industry insights. From Annual Survey to Pulse: Are you ready for the switch?